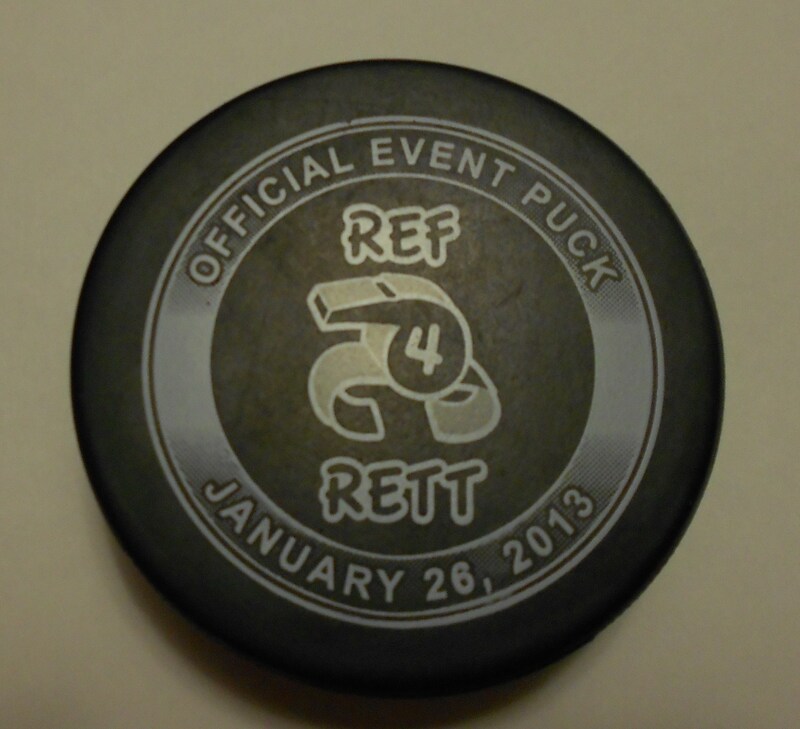 Limited Edition 2013 Ref4Rett Official Event Pucks will be available for purchase during the event on January 26th, 2013 for $5.00 – Perfect for autographs!! Hi Kevin, I am Dale Harrisons mother-in-law, and I am also on the Board at the Make A Wish Foundation of South Western Ontario. I am so in tune with what you are doing, it is fantastic. Geo. and I are going to be going with Gina, Dale and Brooke next Sat., so if you need any other help I will be available. I am also going to do up a basket of childrens toys and will have Brooke take a picture with her phone and send it to you. This will be from George and Carole Fleming. I am sure this is going to be a big success. We look forward to meeting with you next Sat. Thank you so much and I look forward to meeting you as well.